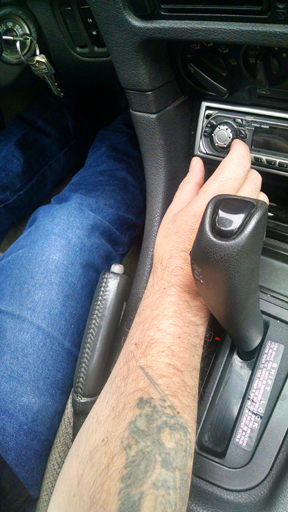 You reach past that emergency brake lever many times until you almost forget that it’s there. Hopefully, you’ll remember it when you need it and, hopefully, the emergency brake cable won’t break. It’s gotten so you don’t even notice that lever between the front seats of your car anymore. The last time you used it was … well … you can’t even remember, can you? As time has gone by, the lever has simply faded into the background. For all extents and purposes, it’s part of the upholstery. Then day comes when a car pulls out in front of you. Obviously, the driver wasn’t paying attention. They didn’t notice that you had the right of way or that a collision was a distinct possibility, if they were so foolish as to pull into traffic at that point. Seeing them there, you mumble something about idiot drivers as you hit the brakes hard. It’s an annoyance as the tires start to squeal but you’re sure you’ll stop in time. Suddenly, the pedal falls to the floor and the tires stop squealing. Instead, it almost seems your car is picking up speed. It takes a split second for your brain to register the cause of your dilemma. That slice of a moment is required because this is entirely out of the ordinary. No, you don’t have to lock up the brakes to avoid an accident every day. But, on those rare occasions when you do, you’ve always been able to trust the brakes. But not today. Now the lever between the seats emerges from where it was subliminally hiding with a few loose quarters, the wrapper of a candy bar you ate a while back and that unpaid parking ticket you lost and forgot. The lever – the emergency brake lever – rushes into focus in your consciousness as you reach down with reckless abandon. You grab the lever and pull. But it hardly moves. You pull harder as time is running out. Then you hear a ping and the lever goes limp. Your mind has no time to unravel this mystery. All that’s left to do is to brace yourself for impact. What happened? What was that ‘ping’ and why did the emergency brake lever suddenly lose all tension and function? The problem is that you’ve never used it before. Over the years and miles, that brake lever has hung expectantly under the carriage of your car. It’s endured extremes of hot and cold. The road has doused it with rainwater, snow and ice. Mixed with those, it’s felt the sting of dirt, grease and road salt. As might be expected, rust and corrosion have set in. A kind of mechanical rheumatism formed around the fittings and connections. A while back, had you pulled that lever, it might have required more strength than when the car, and the brake cable, were brand new. But, after a tug or two, the cable would have cooperated. The emergency brake would have engaged. That wasn’t the case on this day, not when you desperately needed that emergency brake to work. The emergency brake cable was no longer up to the task and its left you in the lurch. The moral of the story is that you may want to apply your emergency brake cable from time to time, just to keep it fresh. But, if it’s part of the way gone already, you may find that your emergency brake has locked up and you can’t release it. The real solution, therefore, is to replace the emergency brake cable periodically. It’s not terribly expensive. Think of it as brake insurance you may need at a crucial moment. An emergency brake cable is one part you don’t want to purchase at the auto parts store. Auto parts stores sell foreign brake cables that fail industry pressure tests almost 90 percent of the time. Bruin Brake Cables tests all of its brake cables before they’re sold. Each cable passes a test to 1,200 foot pounds or it’s rejected.